It's a full moon. Watch out for werewolves, and word problems?! 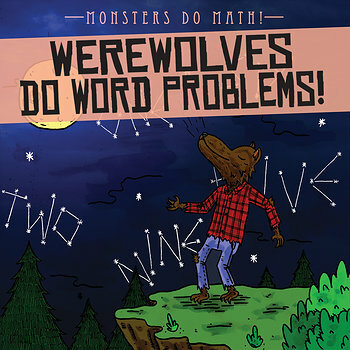 In this fun take on traditional math books, werewolves are the instructors as well as models to help readers learn about one- and two-step word problems, an important standard of the Common Core. Delightful illustrations help young mathematicians master how to set up and solve equations, while fascinating fact boxes supply information about the famous fantasy creatures in this fun, high-interest volume.